The Pac Man-like WeWork desk and space provider has just leased 240,000 square feet at the 1.11 million-square-foot 85 Broad St. at Stone Street. The huge downtown deal is the first major lease signed this year and the first large deal in the former Goldman Sachs building. The financial firm sold it to MetLife in 1985 for $74.4 million and Beacon Capital Partners bought a major stake late last year for an undisclosed price that is likely several times more. The building has a Wired Platinum rating which should make the WeWork floors attractive to its target start-ups. Of course, free beer, micro-brewed coffee and purified water as well as weekly events keep the work party going. WeWork is already offering private offices at the building starting at $750 a month. It signed six floors in two tranches: the top 28 through 30th floors and the 16th through 18th floors. Asking rents ranged from the $50s to the mid-$60s sources said. 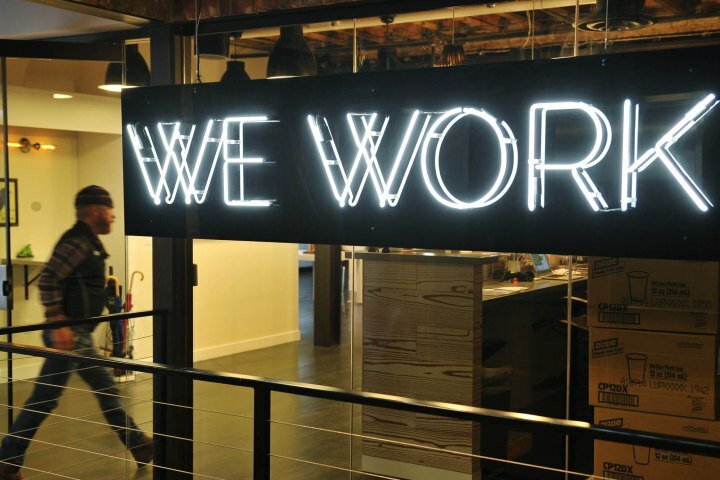 Peter Riguardi, Frank Doyle and Cynthia Wasserberger represent the ownership and could not be reached for comment, while WeWork did not respond to an e-mail. The space provider has locked up swaths of many city buildings and often fits them out as targeted industry incubators. The Real Estate Board of New York has released to us the 19 nominations for most Ingenious Deals of the Year. The three winners will be announced on April 28. “Madison Sq. Portfolio” at 119-125 W. 24th St., 19 W. 24th St., 13-15 W. 27th St. and 45-47 W. 27th St. from David E. Ash, Prince Realty Advisors. “The Prince Lumber Relocation” at 61 Ninth Ave. was by Justin DiMare, Newmark Grubb Knight Frank (NGKF). “A Two-Year Negotiation Decades in the Making” at 150 E. 42nd St. was negotiated by Scott Gottlieb of CBRE. “The Eight Year Land Assemblage for the Virgin Hotel and the Avenue of the Americas Residential Condominium” at 1205, 1225 and 1227 Broadway and 846 Ave. of the Americas was overseen by John Ciraulo and Robert A. Knakal of Massey Knakal Realty Services. “Metropolitan College of New York Enrolls for the Long Term at 40 Rector St.” was submitted by Robert Martin and Ken Siegel, JLL. “Selling Uncertainty: The Sale of 760 Madison Ave.” was certainly by Guthrie Garvin and Paul J. Massey, Jr ., Massey Knakal. “Dividing the Charities: The Sale of the United Charities Building at 287 Park Avenue South” was sliced up by Geoffrey Newman and Mark Weiss of NGKF. “Leasehold Condo Brain Surgery for Mount Sinai Medical Center” at 150 E. 42nd St. made honorary doctors of Josh Kuriloff, Michael Rotchford and Jonathan R. Serko of Cushman & Wakefield. “Etsy Keeps its Faith in Brooklyn” at 117 Adams Street and 55 Prospect St. by Freddie Fackelmayer, Christopher Mansfield and Sacha Zarba of CBRE. “A ‘Two-State Solution’ to 11 Madison: Everyone Wins,” negotiated by Howard Fiddle and Brad Gerla of CBRE. The “Transformation of 501 Madison Avenue,” overseen by Kevin R. Wang of KRW Realty Advisors along with Robert L. Freedman and Alexander P. Jinishian of Colliers International. “Through The Looking Glass: Repping a Landlord as Tenant” at 430 Park Ave. was handled by Gordon Ogden and Joseph Thanhauser, III of Byrnam Wood. “Window of Opportunity: BNY Mellon’s Recommitment to the Future of Lower Manhattan” at 225 Liberty St. by Peter Riguardi of JLL. “Hudson’s Bay Co. Commits to Major Downtown Consolidation” at 225 Liberty St. and 250 Vesey St. was shopped by Lauren Crowley Corrinet, Michael G. Geoghegan and Stephen B. Siegel of CBRE. “MediaMath: World Trade Center Redux” at 4 World Trade Center was added up by Michael Rizzo and Harly Stevens of CBRE. “Anchor in a Political Storm: The GroupM Deal at 3 WTC was endured by Mary Ann Tighe and Gregory Tosko of CBRE. Finally, “252 East 57th Street — An 8.5 Year Financing Odyssey” had the funds brought in by Kathleen McSharry, Andrew J. Singer and Scott A. Singer of The Singer & Bassuk Organization. Now that the space is ready to be delivered, we’ve learned RFK’s Ariel Schuster and Jackie Totolo are joining Joel Isaacs and Josh Lewin of Isaacs and Co. to lease the retail spaces at 935 Madison Ave. directly across from Apple. Being developed by Daniel E. Straus along with condo apartments above, the new 18-foot-high storefronts are almost ready, with the scaffolding coming down for the big reveal by April. Asking rents are $1,200 per square foot on the corner and $1,000 per square foot in line. The Metropolitan Museum of Art’s contemporary collection will open its first exhibition a year from now in the former Whitney Museum next door.